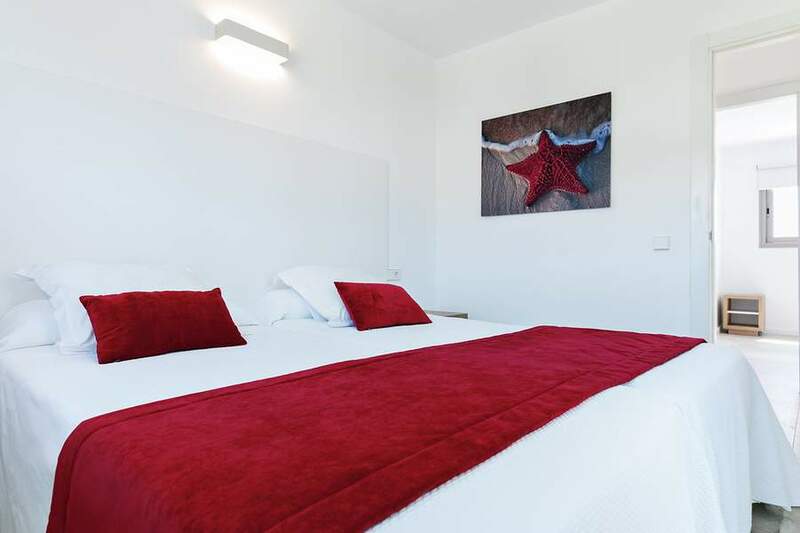 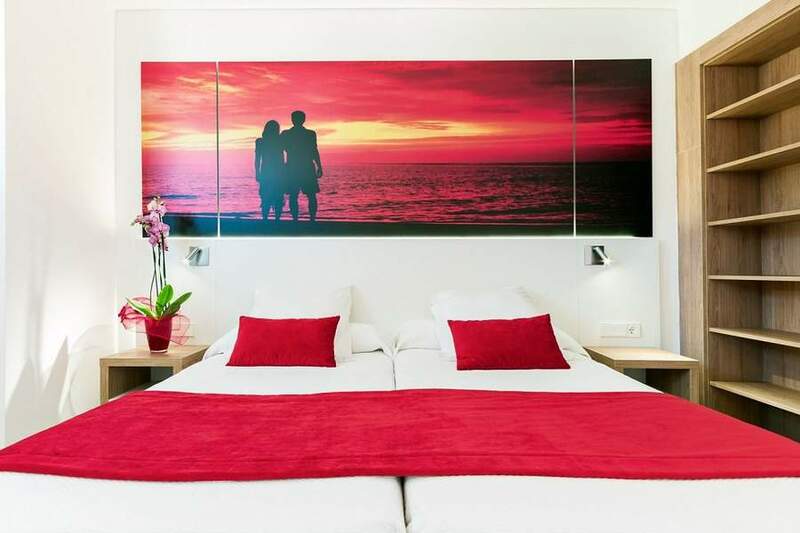 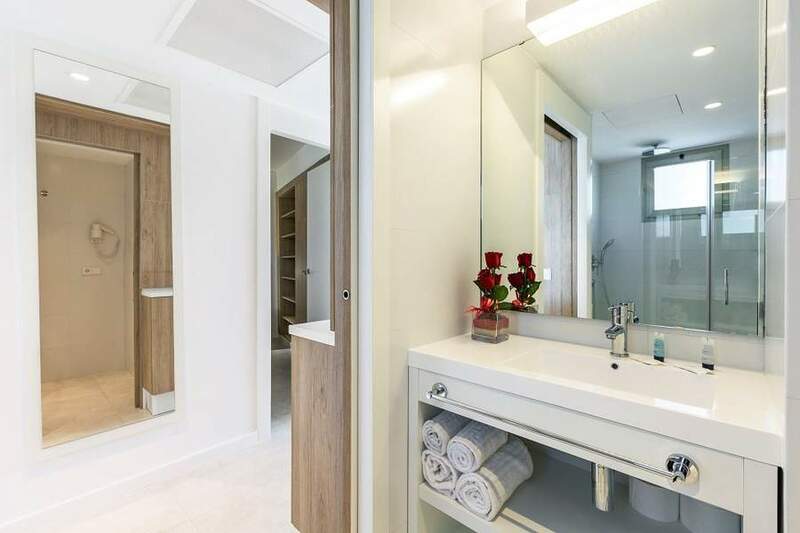 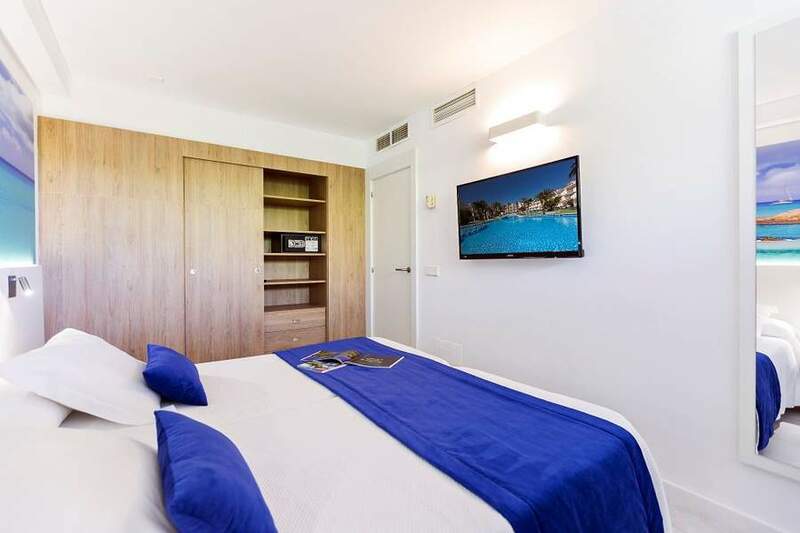 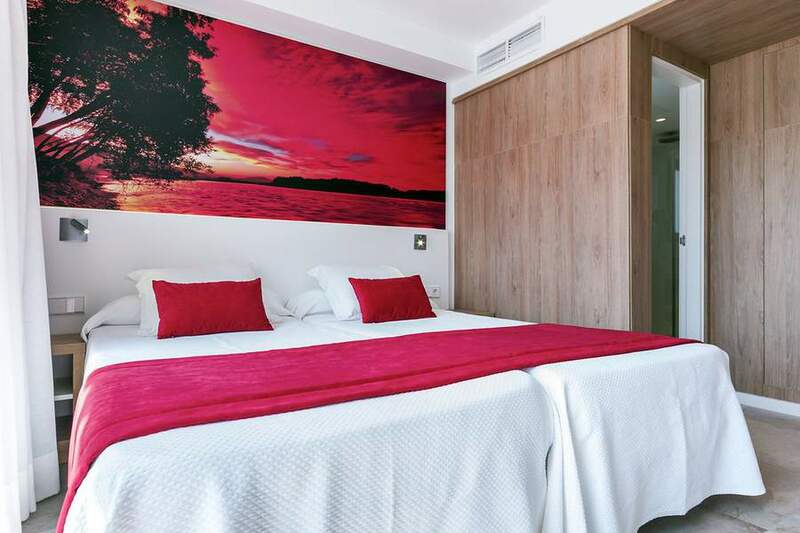 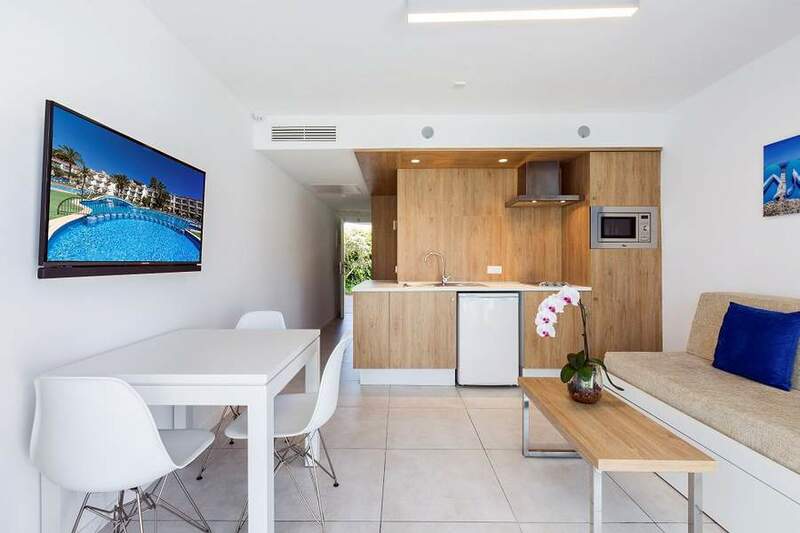 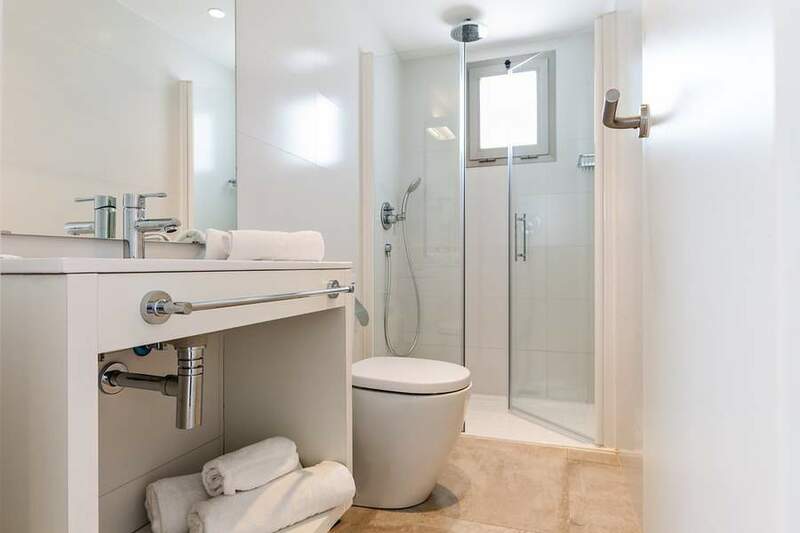 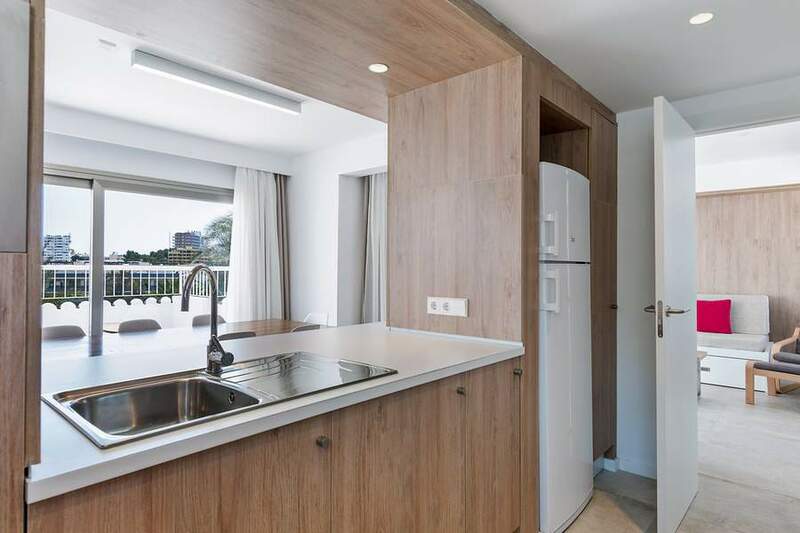 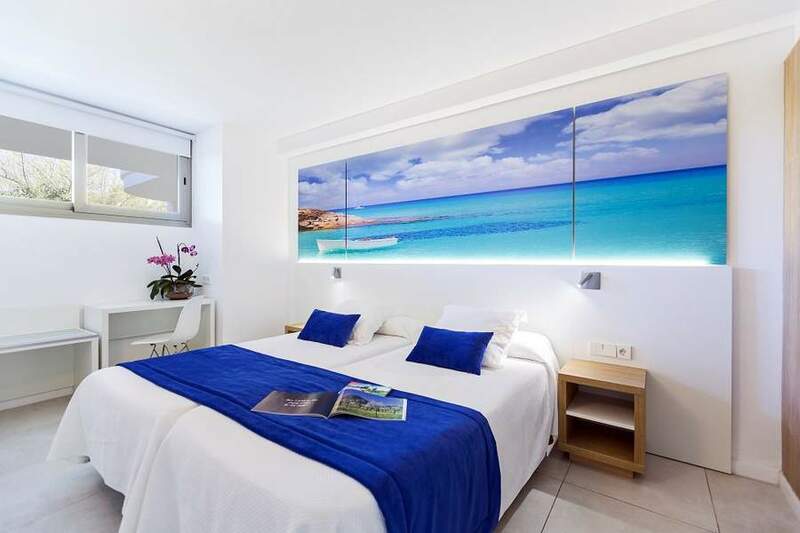 The apartments of the Ca's Saboners Aparthotel are extremely comfortable....The redesign of the guest apartments offers light and airy rooms that have a modern and elegant feel. 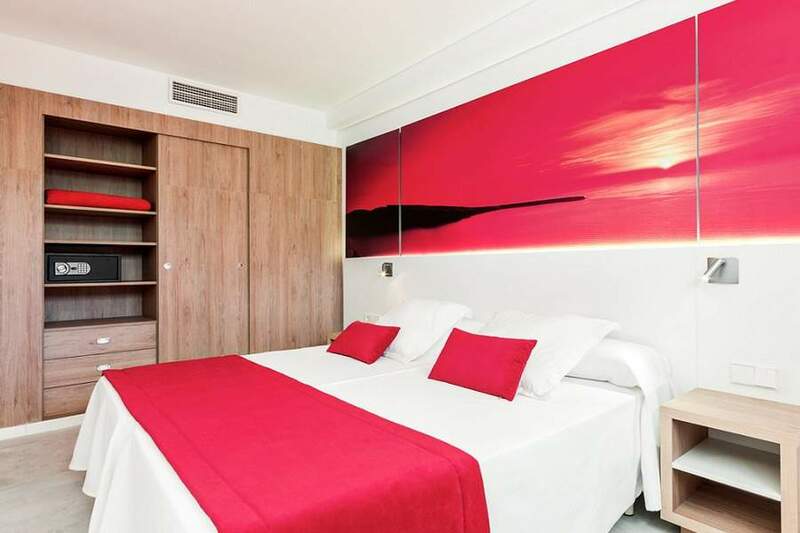 All newly refurbished rooms feature carefully chosen colors of warm wood with light accents. 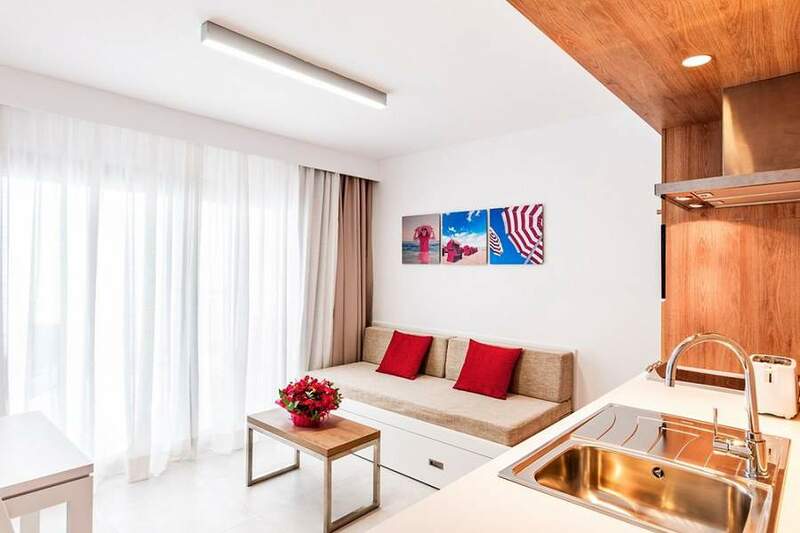 All apartments have been designed to inspire, its beauty connects you with the surrounding environment, while ensuring your comfort and convenience. 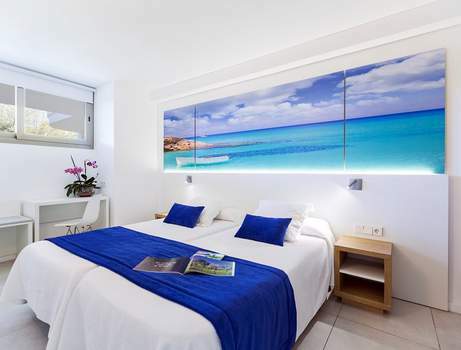 In our new rooms you'll enjoy a restful sleep because each detail has been carefully refined to be just right for you. 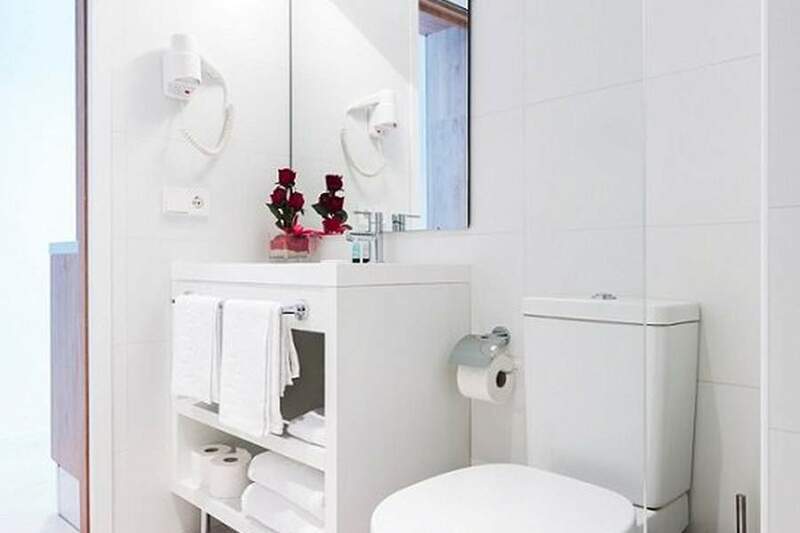 You’ll feel thoroughly at home, and completely at ease. 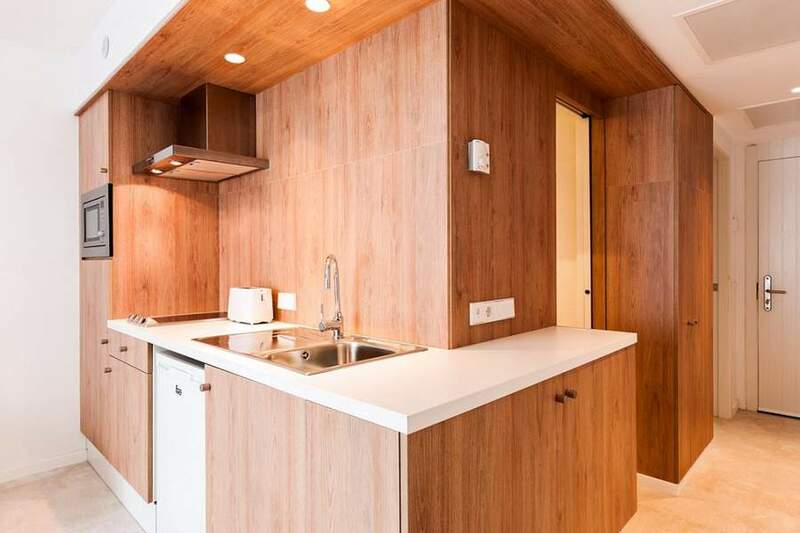 Completely renovated SUPERIOR APARTMENTS can be found on the first and second floors. 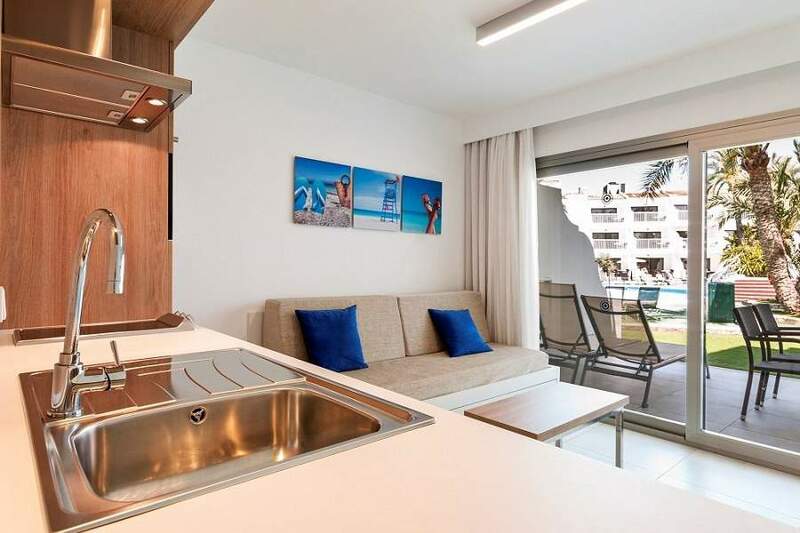 Rest up in your fine 45 square-metre apartment fitted with cutting-edge decor complete with cool, relaxing tones, modern design and LED ilumination. 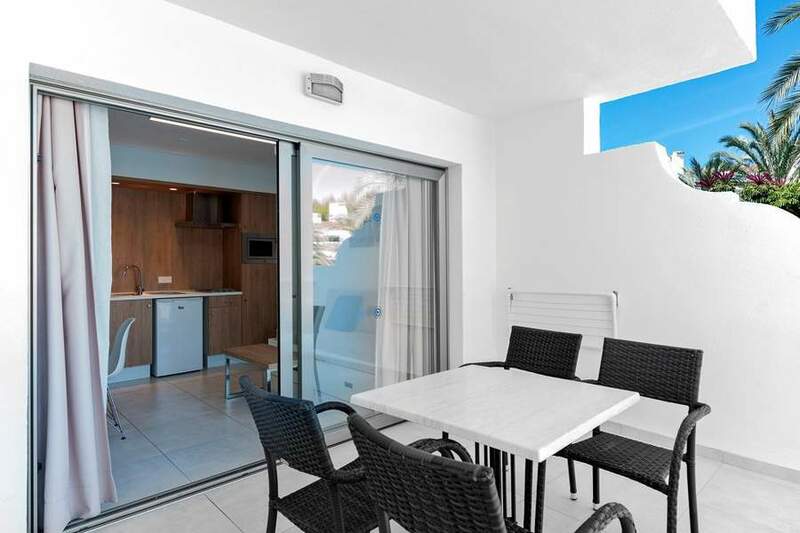 Retreat to your spacious balcony made even more lovely with views of the pool, Mediterranean olive trees, palms and gardens. 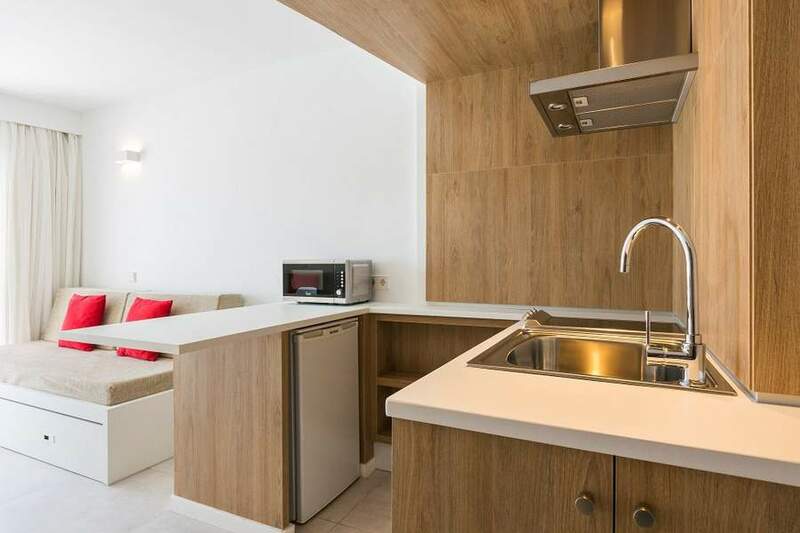 The spacious layout of the apartments offer you the chance to spend quality time with your family or partner. 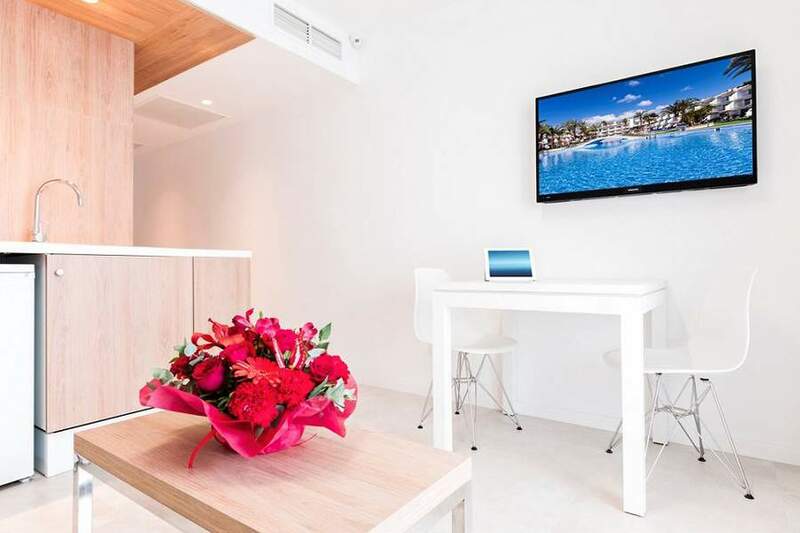 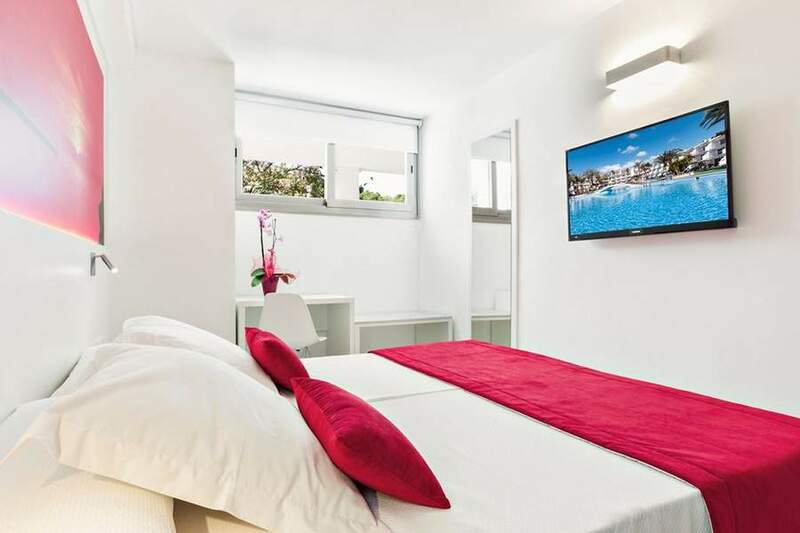 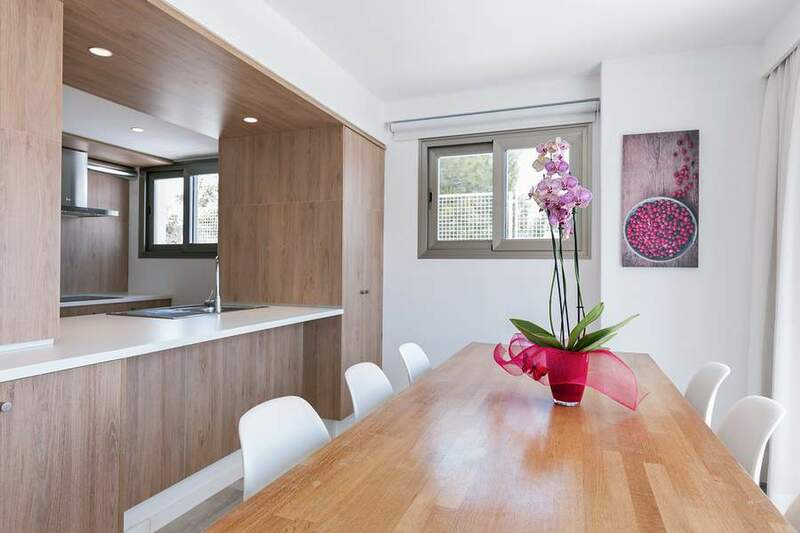 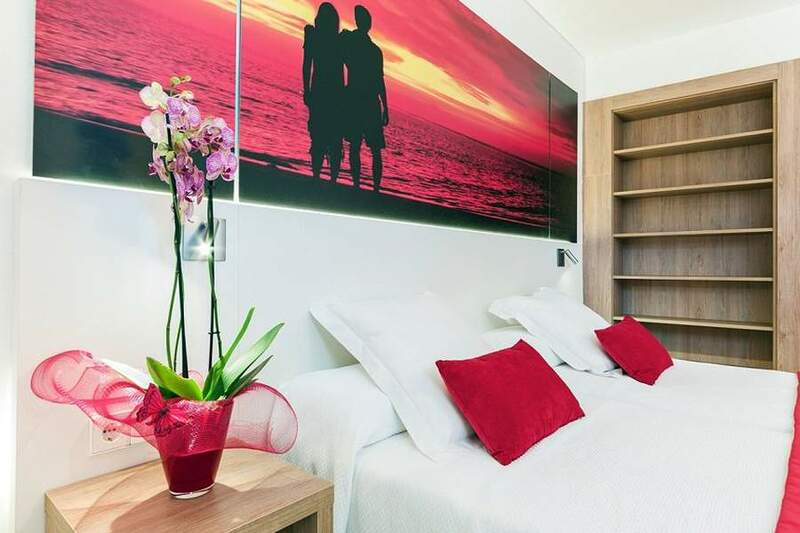 These apartments are equipped with two LED televisions, one in the living room (43´´) and one in the bedroom (40´´). 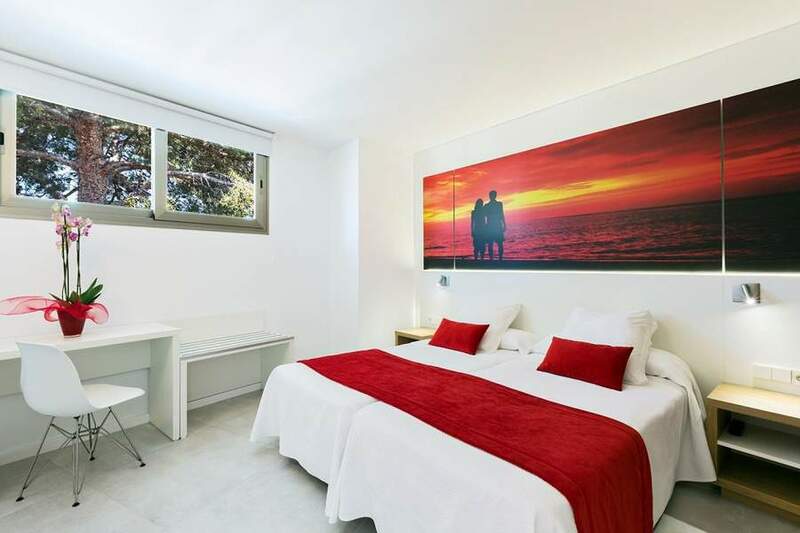 Ideal for two to four people. 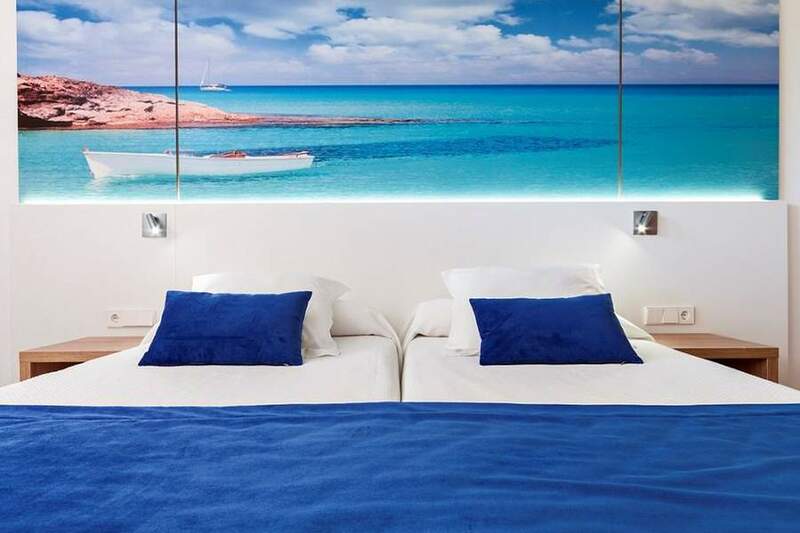 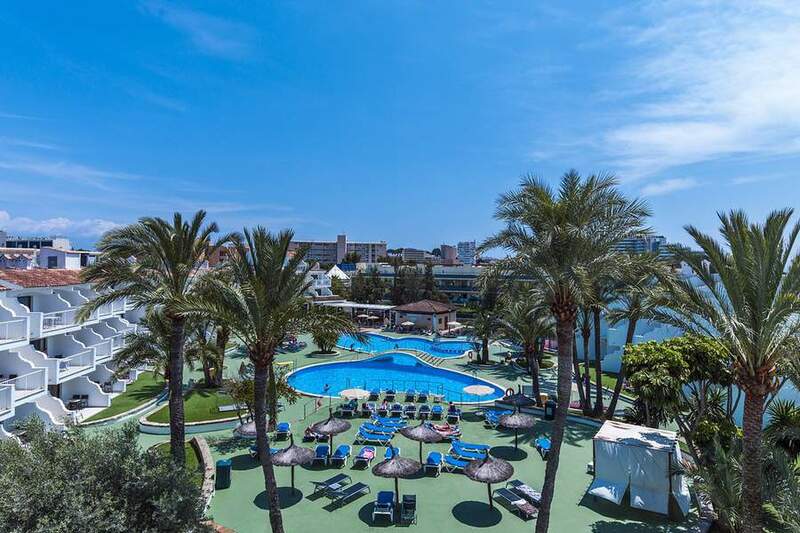 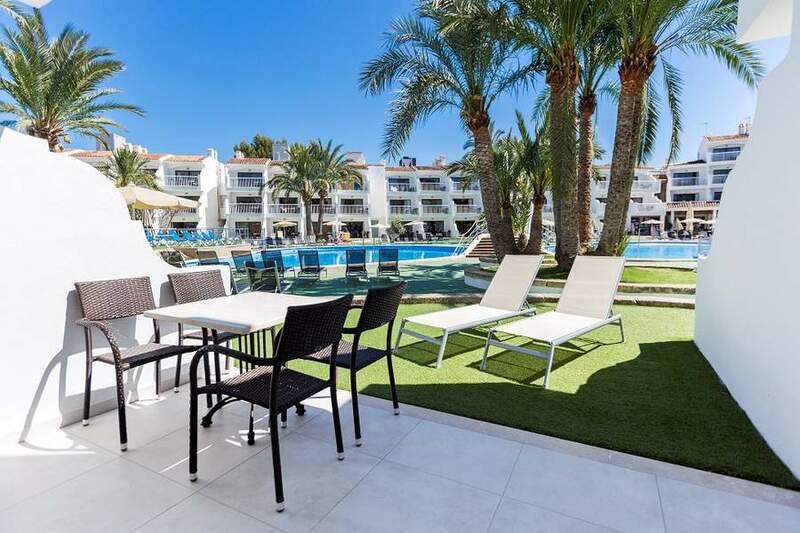 Newly renovated and completely transformed, situated on the ground floor with direct access to the pool giving you full advantage of the hotel´s amenities a stone´s throw away. 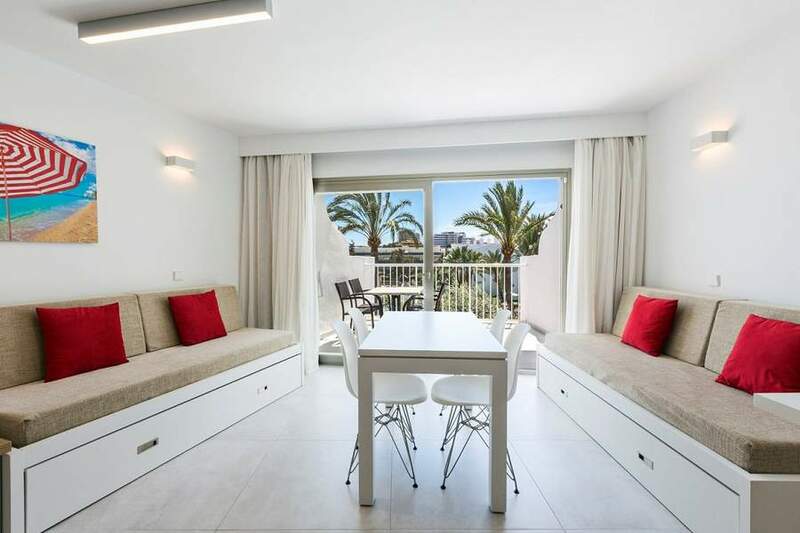 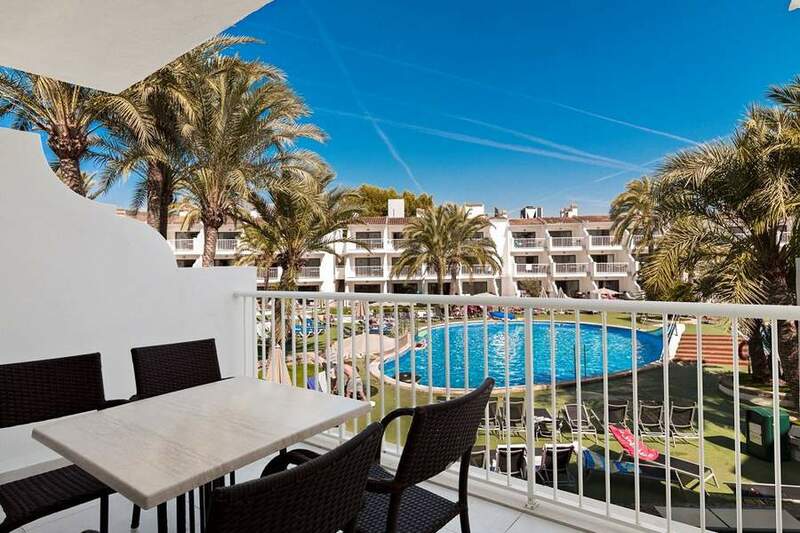 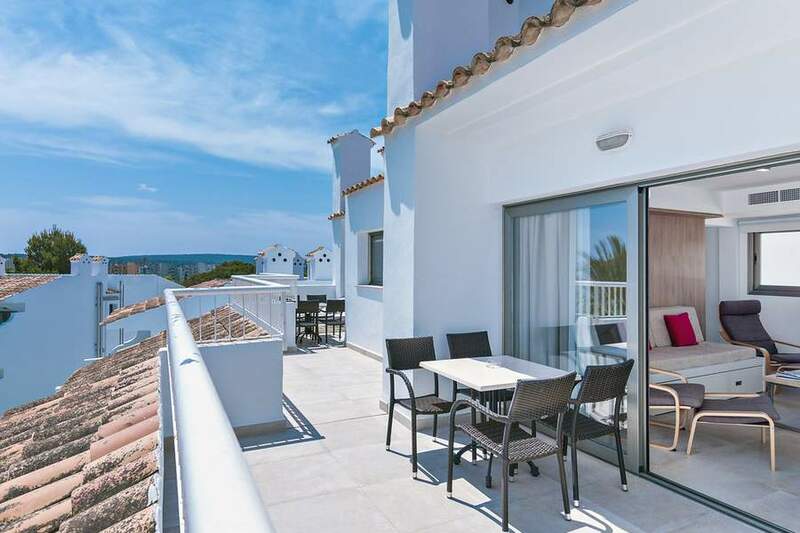 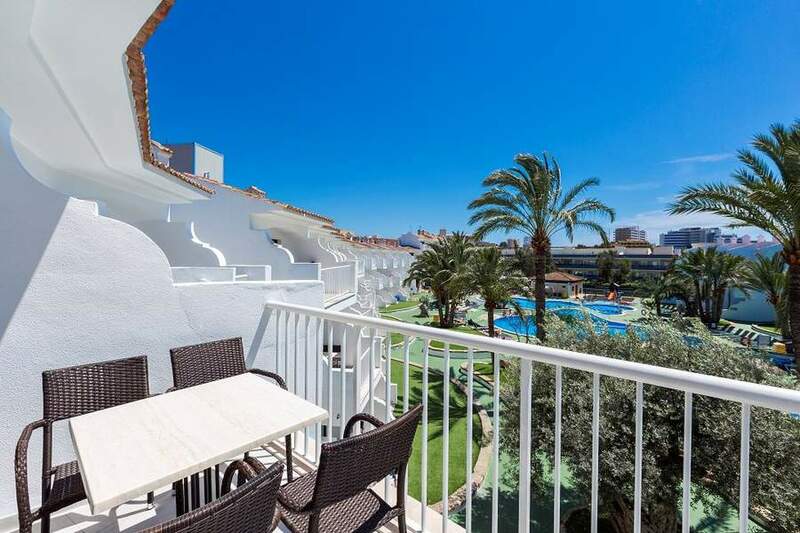 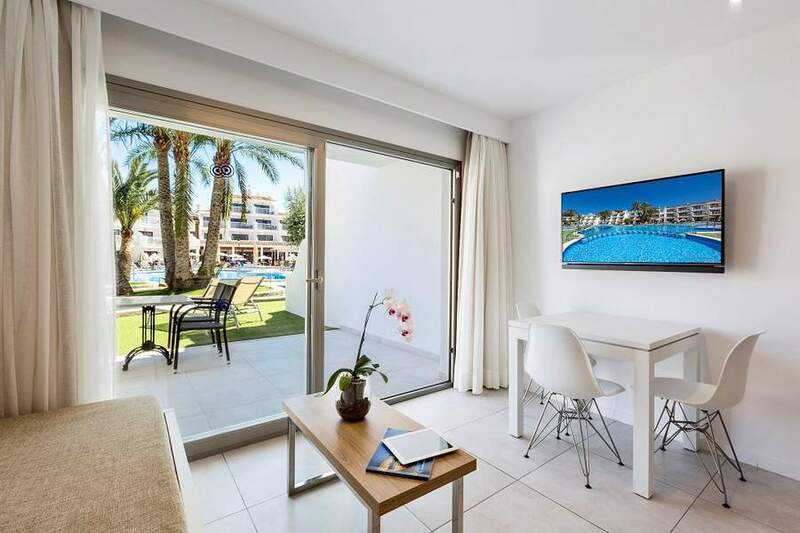 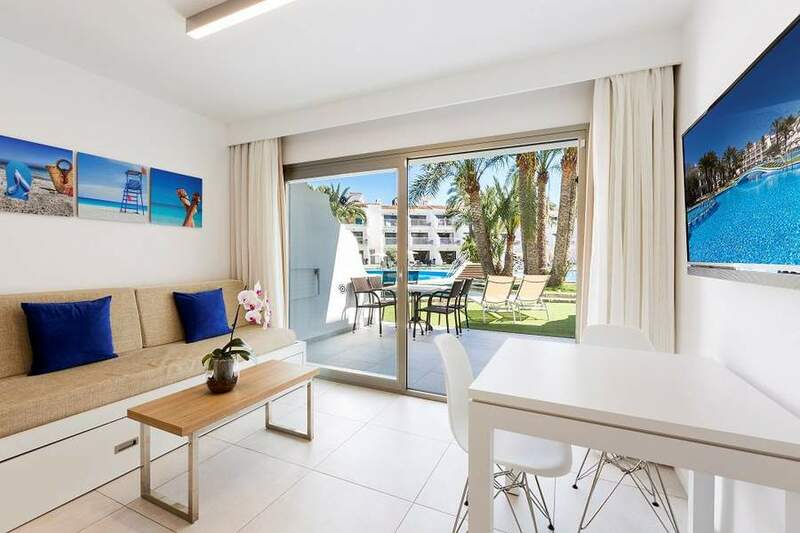 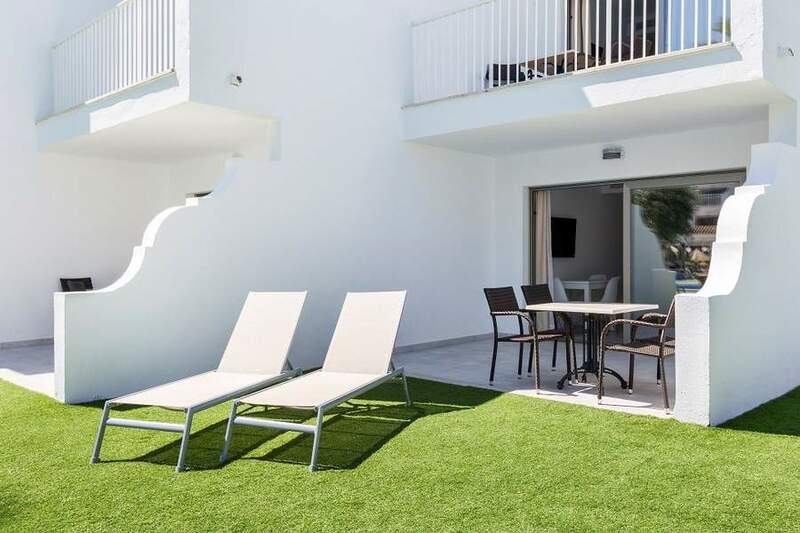 These apartments boast a small green area in front of a private terrace with two loungers for you exclusive use, to soak up the sun or enjoy the sunset. 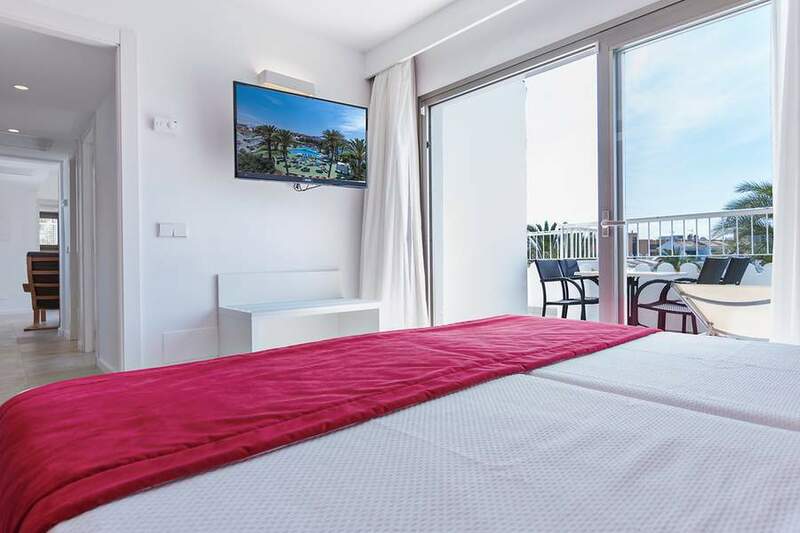 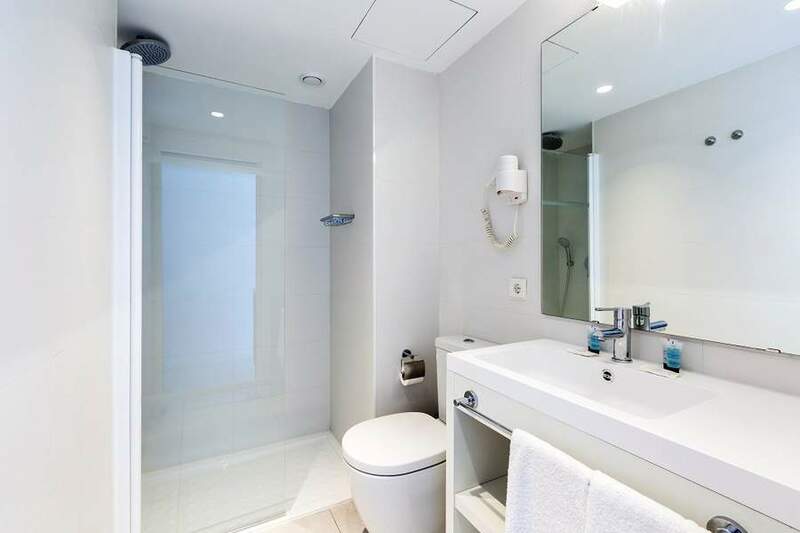 The soft redesign of these apartments offers light and airy rooms that have a comtemporary and elegant feel, where you will be able to enjoy the latest technology including two LED flat-screen televisions (living room 43" and bedroom 40"). 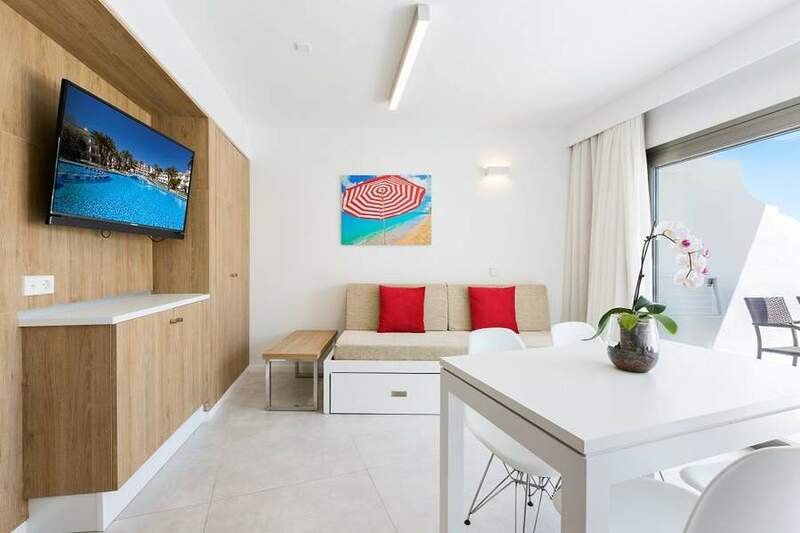 You also have Bluetooth system speakers to play music from your phones and as an added bonus FREE HIGH-SPEED WIFI is available for the duration of your stay both in your room and by the pool. 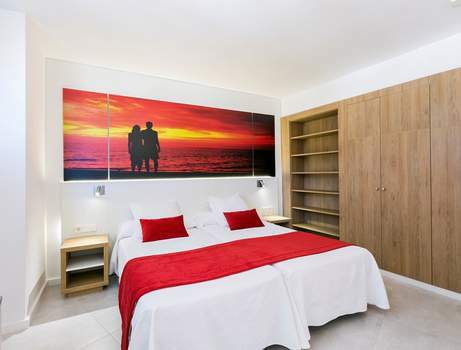 These spacious apartments with an area of 45 square-metre are perfect for family holidays or with your partner. 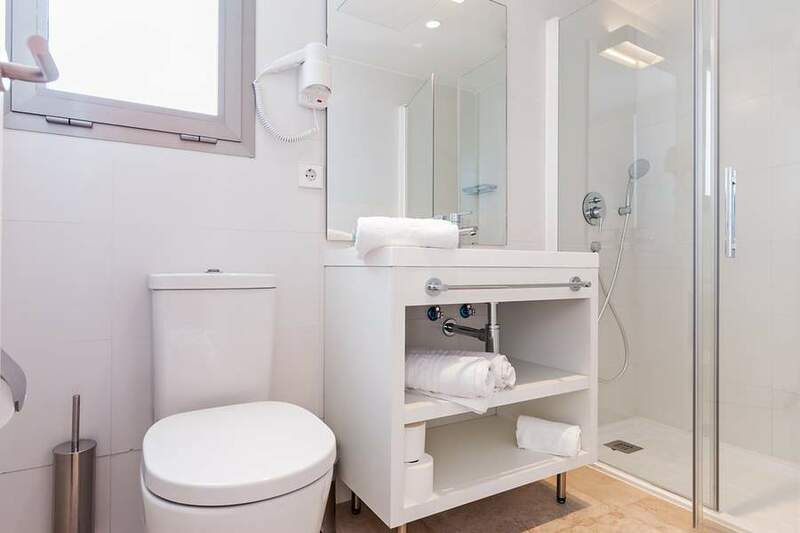 Ideal for two to four people. 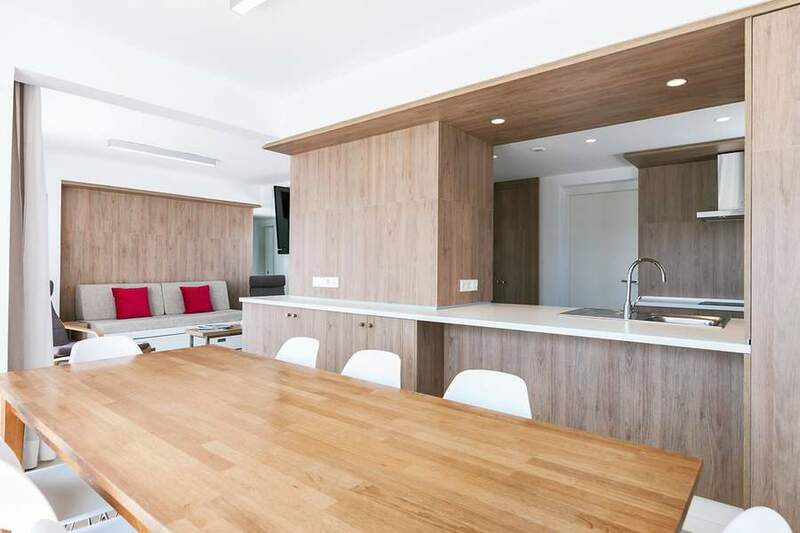 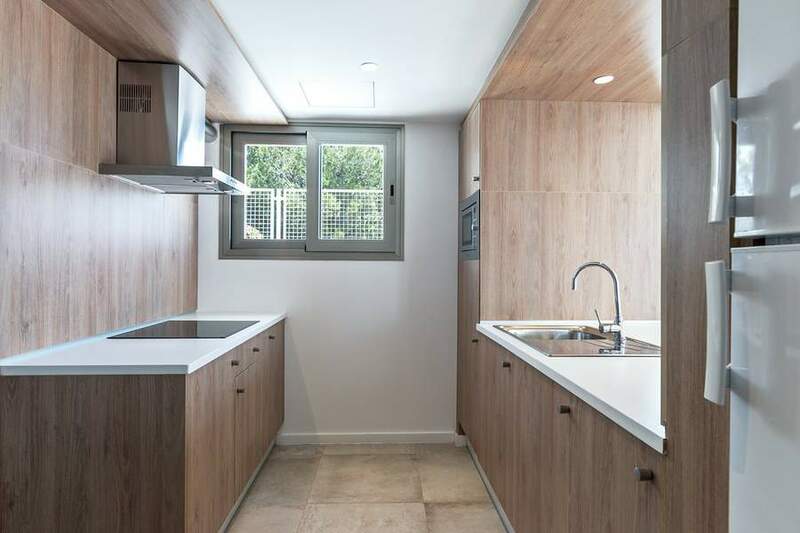 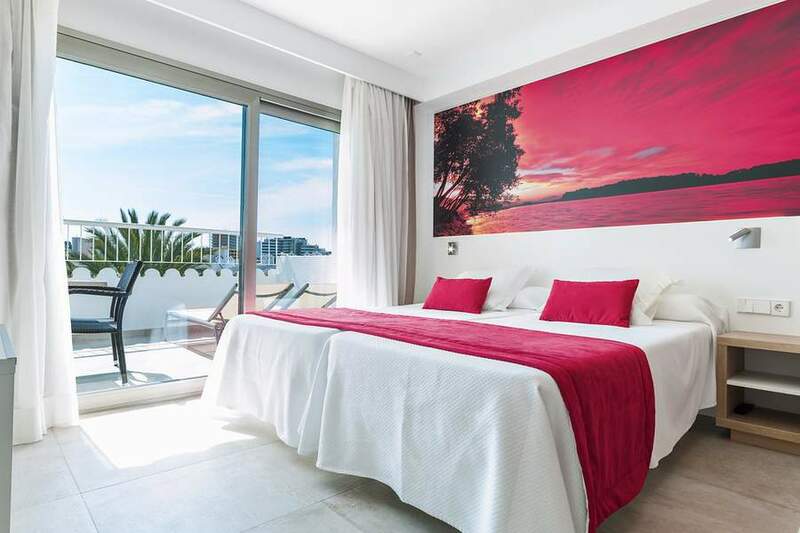 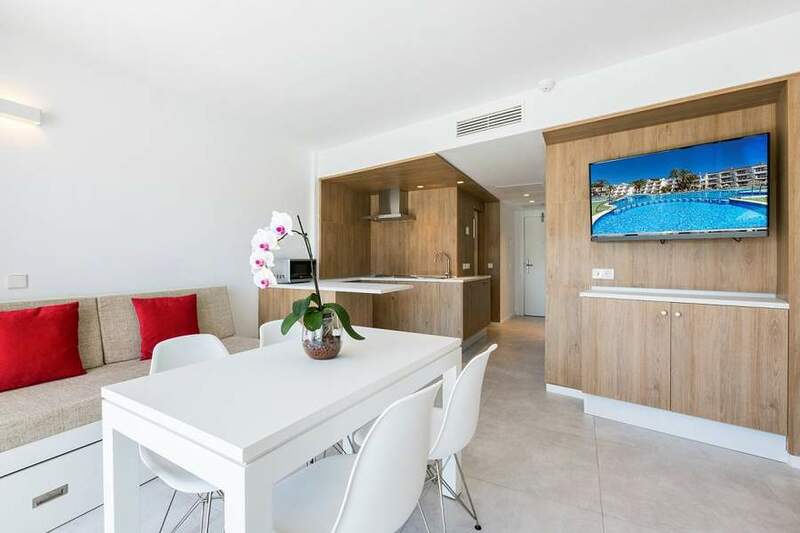 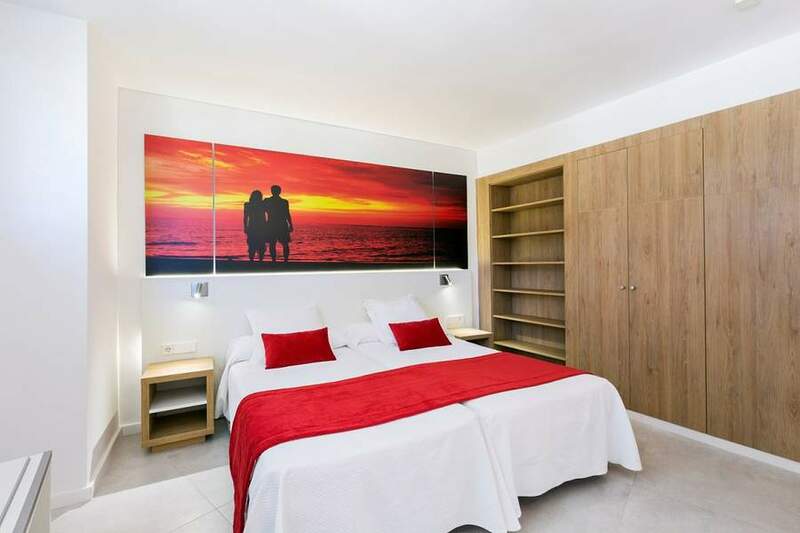 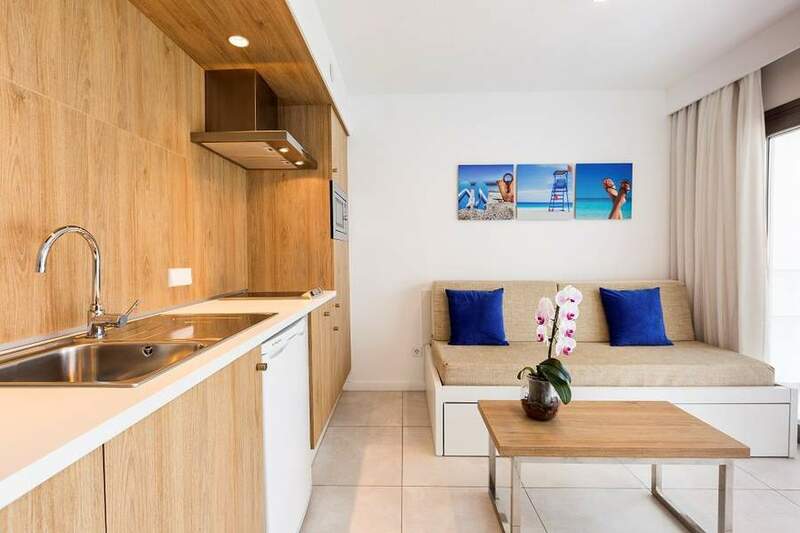 Completely renovated, with similar layout and modern design to the superior apartments, but these ones boast a larger open plan kitchen, bedroom and living room with two sofa beds where you can enjoy unforgettable holidays with your family our your partner. 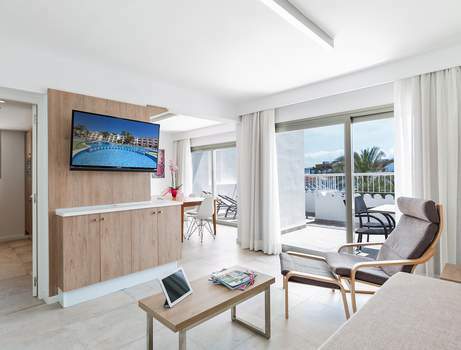 These apartments are also equipped with two LED flat-screen televisions (living room 43" and bedroom 40"). 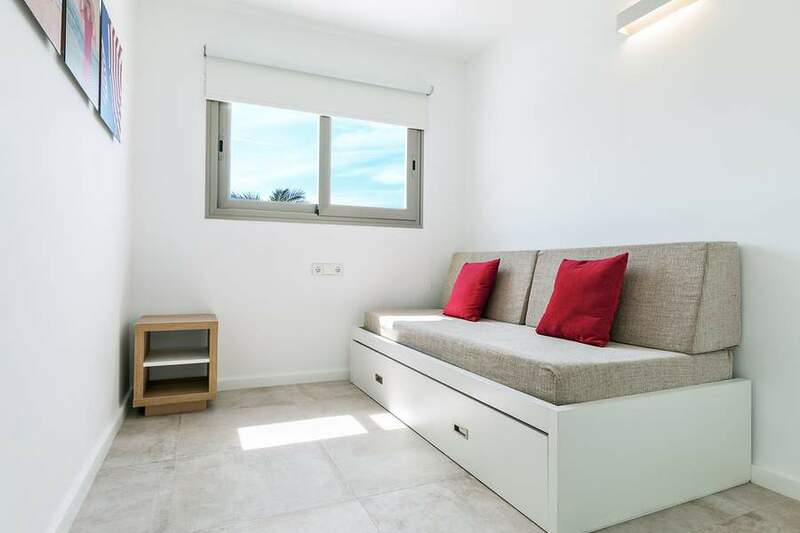 Ideal for two to five people. 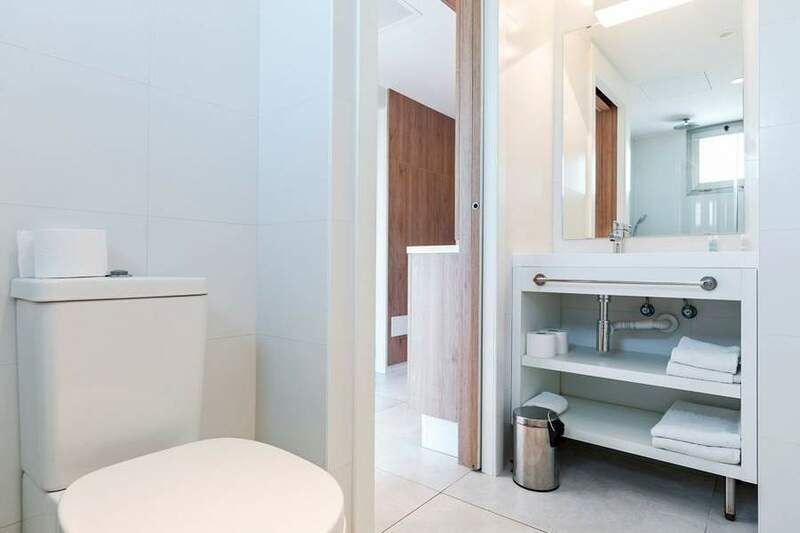 Totally refurbished, the redesign of the NEW SUITE offers light and airy rooms that have a modern and elegant feel, that form the ideal setting for any occasion. 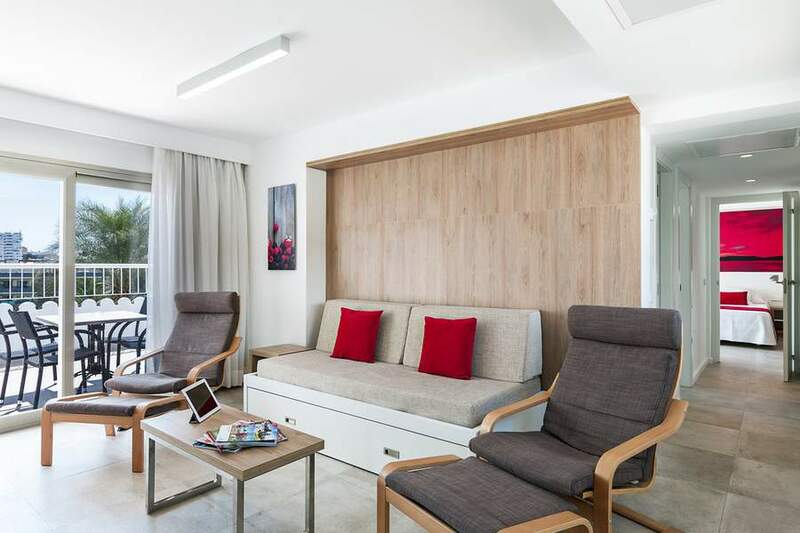 The NEW SUITE occupies the hotel´s highest point, where it reaches a third floor. 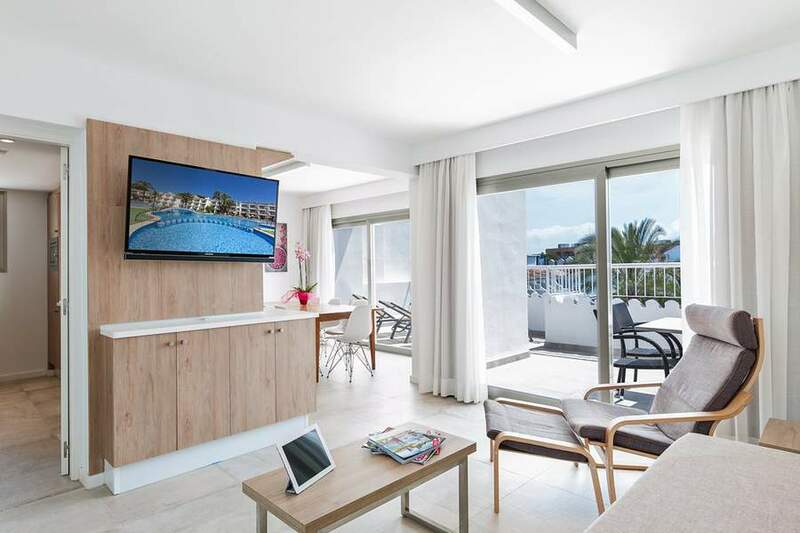 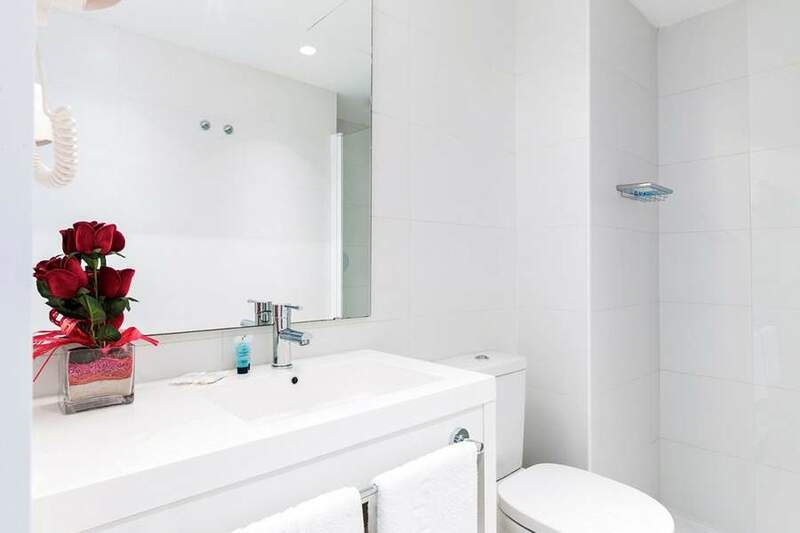 The biggest apartment available on the complex, it boasts a master bedroom with en-suite bathroom, two bedrooms, which sleep two people in each, main bathroom, living room, dining room and a separate kitchen complete with storage area and utility room. 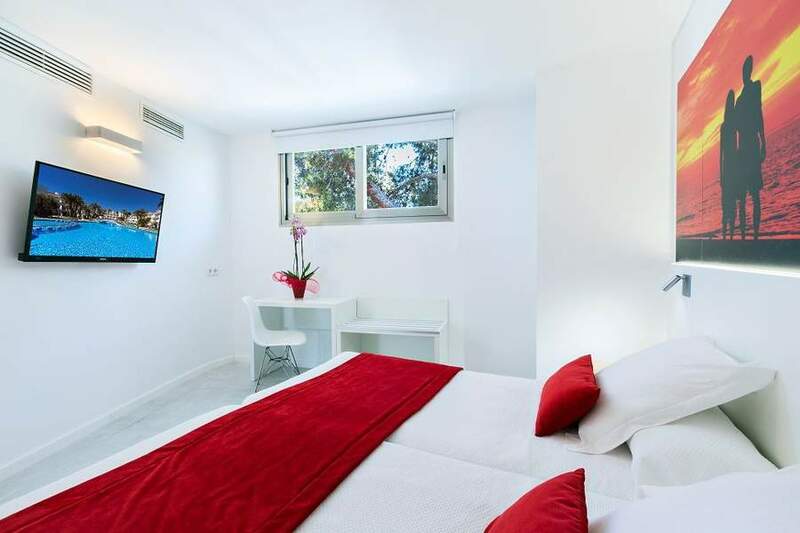 Fully equipped with modern furniture and two LED flat-screen televisions (living room 43" and master bedroom 40"). 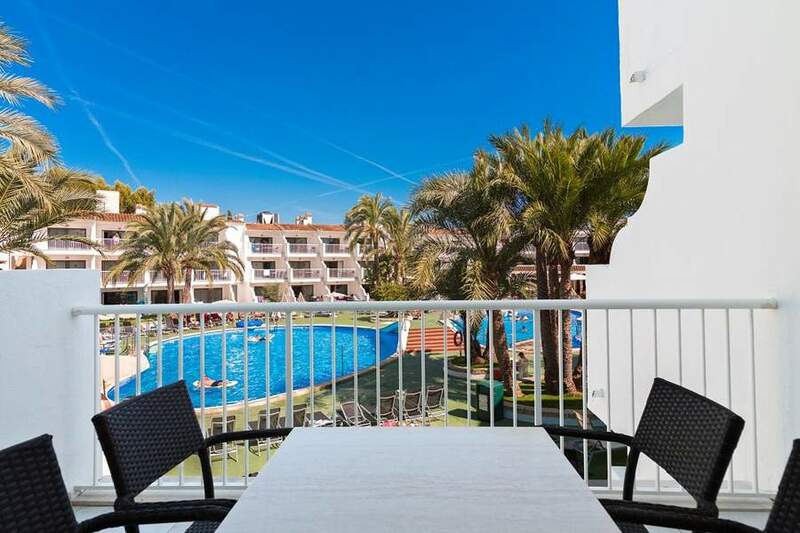 There is a large private terrace, equipped with sun loungers and free of neighbors, that looks out over the whole complex. 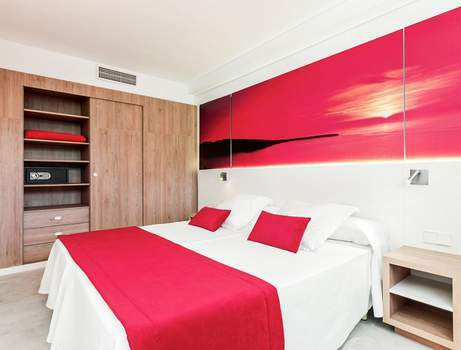 FREE HIGH-SPEED WIFI is available in the suite and by the pool booking this room. 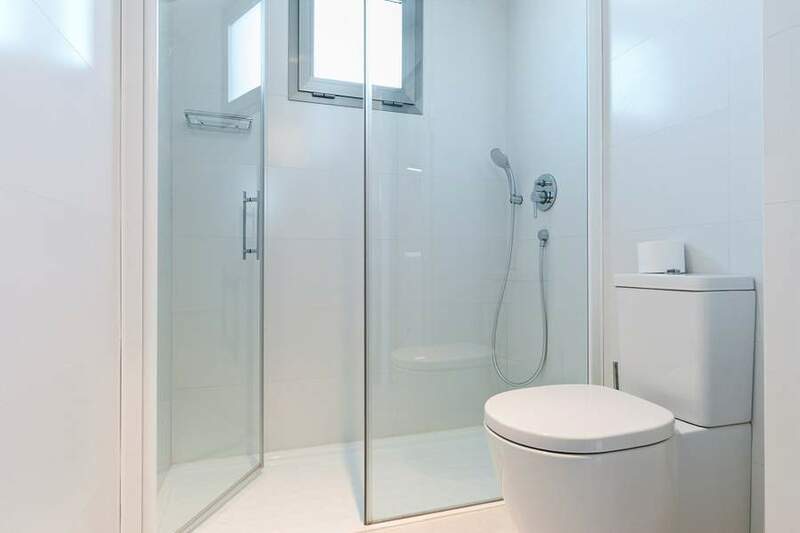 Ideal for four to eight people.